Up to 75 litre capacity barrel spill kit for cleaning up spills of oils, fuels, diesel, petrol and other hydrocarbons in small workshops or around vehicles and machinery. This portable oil and fuel barrel spill kit is an economical solution for cleaning up oil, fuel, diesel, petrol, solvents and other petroleum products. The SKH60P is a barrel spill kit and is ideal for oil and fuel spills on unsealed areas around mine sites, drilling rigs and truck stops. The spill kit is housed in a tough and durable waterproof barrel for harsh and rugged environments. Oil and fuel spill kits contain a variety of meltblown polypropylene absorbents which are colour-coded white for easy identification. These absorbents are able to absorb up to 20 times their own weight in oil and have a fast-wicking action to clean up spills quickly. Oil and fuel absorbents are hydrophobic, which means they repel water. This makes them ideal for cleaning up oil and fuel spills in wet environments, including ponds, sumps, drains, lakes, rivers, creeks or in the rain. 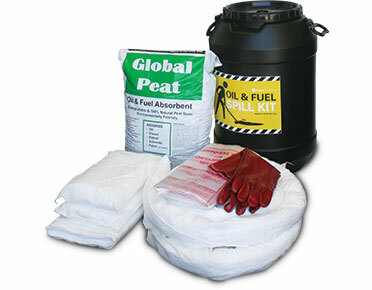 Portable oil and fuel spill kit designed for spills around trucks and machinery or in smaller workshops. 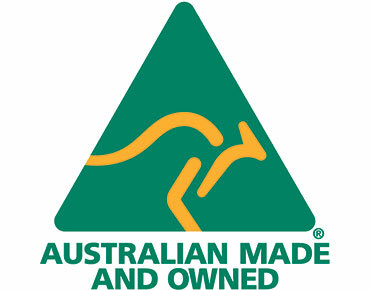 Contains Global Peat floorsweep and polypropylene oil and fuel-only maintenance absorbents. Clean non-allergenic, non-hazardous absorbents, with little or no dust. Spill kit is supplied in a tough, heavy duty waterproof black barrel with a screw-top lid..
Oil and fuel spill kit can be customised by adding/removing/swapping components. Actual absorbent capacity will vary depending on liquid viscosity, specific gravity and temperature. Please note: actual absorbent capacity will vary depending on liquid viscosity, specific gravity and temperature.